Just happened by chance. Will try to write a pattern for the same... Few yarn was left over after making the baby set. So made this hat with brim. The top part is completely worked with dc. Brim with sc. Also added few hdc in between. Quiet happy with the final outcome. If you want the hat to be bigger add one more dc increment & Sc round here. In case if you come across any error do let me know. This is lovely. Is it baby size or adult? Lovely hat. I found the link to this pattern on Pinterest. what does increment 6 sc around in uniform manner mean? It looks like somehow it makes an eyelet. does it mean increase 6 sc uniformly? I'm to that point and not sure what to do next. yes it just means to increase 6sc uniformly.. TO increase sc do 2 sc in same stitch. I don't think sc increment make eyelets for any reason. sorry for the late reply.. Round 5, dc in 3 st, 2dc in next, repeat should equal 60 stitches but does not. What am I doing wrong? Never mind working on wrong round feel like an idiot. Sorry. Thanks! It turned out fabulous! Love this... Can't wait to make it. I did this hat in 3 strands of baby yarn and found it a little soft, so I ripped back and eliminated the increases in two of the last rows. I did it in creamy off white and put a deep red ribbon around the base of the crown to adjust for size. Beautiful! Thanks. Can you explain this a little more? I can't tell if after the sc round, I do another dc round and then another sc round - I don't know how many stitches that would be and I'd be off on the rest of the pattern stitch count and round count. Apologies for my newbie-ness and gratitude for any clarification. ;-) It looks so cute! Thanks for sharing your pattern. You explained it very well and it is a cute finished project. I want to knit this hat for my sister who is undergoing chemotherapy. I've been knitting for a long time but I've only been crocheting recently. Can you tell me what a "magic circle" is and what you mean by "dc" ? Thanks! That is an incredible pattern! Made it for my friend who's lost her hair with cancer chemo. A perfect Christmas gift!! 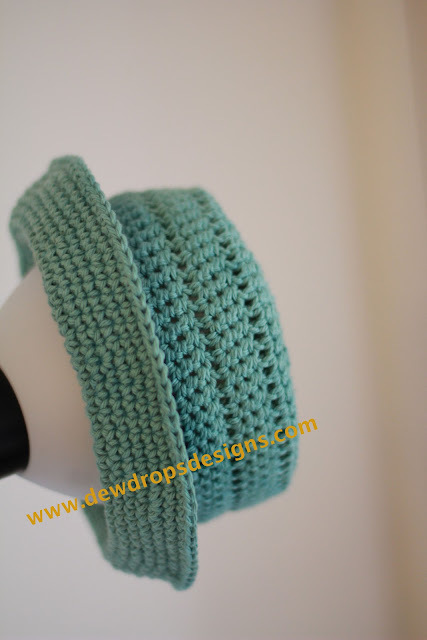 Thanks for sharing your pattern - I crochet and donate hats for cancer patients and this will be great to donate. I would like to know what kind of wool you used for that. I'm trying tu use a 100gr for 75m ball and it just doesn't seem right. And I don't really see how you can make 12 dc in a magic ring, aren't you supposed to take the fourth stitch of the chain to make dc ? I do believe this is a good pattern however, it could have been explained better. Increments, 6 increments, what is that. 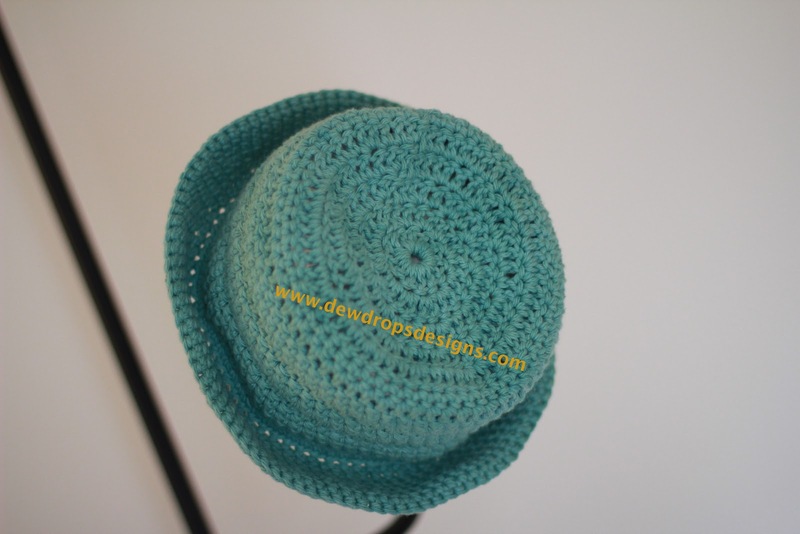 This hat is adorable and I made two -- one for each of my boys -- for Easter this year. This pattern is good to fit my 6 and 8 year old sons. It may also fit my teen, but to increase the size I would do exactly as the author describes. When moving between the "Top" and "Bottom" portions of the hat construction, Just add another round or two of dc and sc as needed. For an adult, I'd probably add another 2dc and one sc before moving on to the author's "Bottom" instructions. From there, I'd keep all the same as written. As to the concern over keeping the shape of the hat, the author clearly states that a less-soft yarn should be used. So I used a regular worsted weight yarn that wasn't labeled as super soft. It worked for me. "Baby" yarns should probably be avoided. I used Red Heart's Soft and it worked fine. Many people got hung up on the author's "uniform increases". OK. So let's go from Rounds 18 to 19 where you are asked to increase from 66 to 70 sts. I divided 66 by four (because 66 + 4 = 70). So every 16 sts I did 2sc in the sc. Right? Makes sense. Then, when you go from 70sc to 80sc, I did 2sc in every 7sts. See? "uniform increases". No biggie. You cannot do all your increases in one sc or it WILL come out something like an "eyelet" as described in previous comments. Even distributing of sts is how to increase in a round. Best of luck to everyone! I love this pattern. I will re-use it many times, I'm sure.